Social Lite is a desktop client to manage your accounts on Facebook, Twitter, Gmail, and Google comfortably and without having to resort to the browser. The application allows you to access your messages, pictures, walls, and others on Facebook, Google+ and Twitter as well as view your emails in the Gmail service. On the other hand it is compatible with Facebook Messenger and gTalk and even offers a preview of the chat messages. 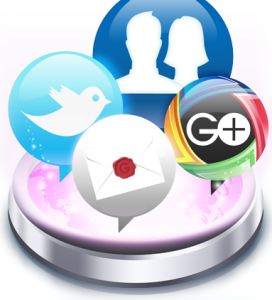 Social Lite is a simple application that shows the different social networks in a space similar to that of the mobile versions of these sites, and offers all the original functions. The management of social networks with Social Lite is interesting, complete and effective. Social Lite is free and works with Mac and Windows. Also offer paid versions that are differentiated by adding the ability to manage multiple accounts for each service.